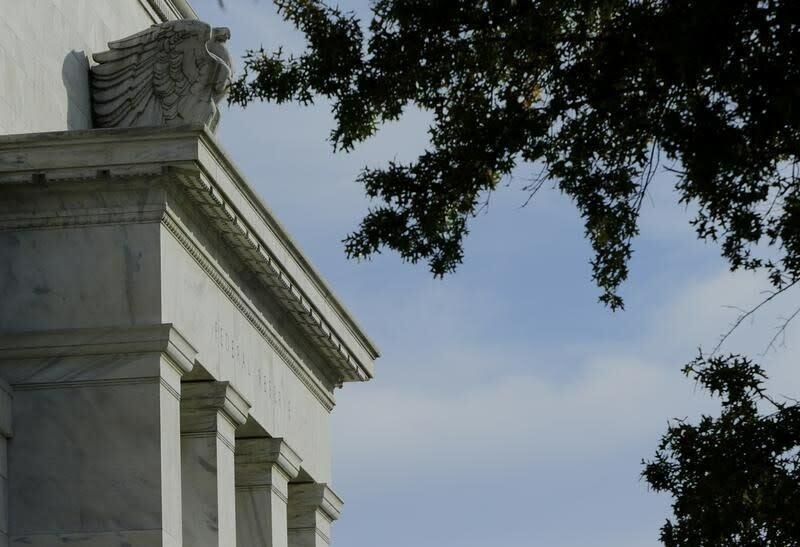 LONDON (Reuters) - The Federal Reserve's debate over whether to raise U.S. interest rates in June may be decided in the coming week, as investors look for any cracks in China and evidence of a solid start to the second quarter in the United States. A run of Chinese data is expected to show activity moderated in April after a strong showing in March. A Reuters poll forecast a small drop in all-important exports last month. For much of the past year, China has been at the center of financial market turmoil, sometimes offering reassurance but mostly fuelling concern its economy - and global growth - are losing momentum. "Trade figures always matter enormously to a trade-dependent nation like China, so April's exports and imports will be closely watched," Scotiabank's Derek Holt said. Economic activity increased in the first quarter because of record bank lending. But worries about a commodity bubble and fast-rising home prices, as well as spreading debt defaults and bad loans, led regulators to tap the brakes on expectations of further aggressive stimulus. Any evidence of a further slowdown in China could dissuade the U.S. Fed from tightening policy as expected in June. Fed policymakers acknowledged last month there were risks to the U.S. economy and suggested two more rate increases were in store this year. That was only half what they thought when they tightened policy for the first time in a decade late last year. Casting further doubt on the case for raising rates, the U.S. economy added the fewest number of jobs in seven months in April and Americans dropped out of the labor force in droves. Retail sales figures due on May 13 are expected to show sales picked up in April after falling 0.4 percent in March. "Consumer spending started the year on a sluggish note, but we look for it to strengthen in Q2, both in overall terms and in the goods component specifically," said James Sweeney at Credit Suisse. "The monthly April report on retail sales should provide preliminary support for our Q2 forecast." A May reading of the University of Michigan consumer sentiment survey on Friday, which the Fed is sensitive to, will probably also show a pick up. Six state Fed chiefs are due to speak in the week, including the voting heads from Boston, Cleveland and Kansas City. No change is expected from the Bank of England on Thursday. Bank policymakers are likely to be preoccupied by the June 23 referendum on whether Britain should remain a member of the European Union [BOE/INT]. Most economists say a vote to leave damage the economy and weaken sterling. Finance Minister George Osborne will present his views on EU membership to lawmakers on Wednesday [ECILT/GB]. "The interest will lie with the accompanying Quarterly Inflation Report and meeting minutes for the committee's judgment on the impact of sterling's fall since February plus any comments about the impact of the referendum," Investec told clients. Britain's central bank will probably lower its growth projections but hold inflation forecasts steady in the quarterly report, according to a majority of economists polled late last month. The central banks of Korea, Thailand and the Philippines also meet during the week. No change is expected from them, either. On Friday, after a light data week, Eurostat will update its preliminary euro zone GDP data. The region's economy grew at its fastest pace in five years in the first quarter, 0.6 percent, driven by unlikely stars such as France and Spain. It has now grown larger that its peak before the financial crisis - although it took eight years to recover - and last quarter's growth rate exceeded growth in both the U.S. and Britain.